Contact Broward County, Florida Bike Accident Lawyers Gerson & Schwartz, P.A. According to the Insurance Institute of Highway Safety, accidents involving a motorcycle are 27 times more likely to result in a fatality and 6 times more likely to result in injury than accidents involving cars only. Broward County has over 1.9 million residents and sees millions of seasonal visitors each year. Commuter and tourist traffic brings congested highways that are packed with passenger vehicles, commercial trucks, and motorcycles. The sheer volume of traffic on the roadways creates dangerous conditions for motorcycles. High speeds, erratic lane changes, stop-and-go traffic, as well as roadwork, create hazards for all drivers. With the fast pace of the Broward County commute, motorcycles may find the ride particularly dangerous. Motorcycles may be cut-off, rear-ended, or sideswiped. Without a protective structure around the motorcyclist, accidents may be severe and life-changing. If you or your loved one has been the victim of a motorcycle accident, contact the Broward motorcycle accident lawyers at Gerson & Schwartz for help . Our Broward motorcycle accident lawyers can help answer your questions about obtaining medical treatment, recovering lost wages, wrongful death claims, and compensation for property damage. Our attorneys can guide you through the process back to recovery. If you or your loved one has suffered injuries or a fatality as the result of a motorcycle accident and would like to speak to our Broward motorcycle accident lawyers, contact Gerson & Schwartz at (305) 371-6000 for a free consultation. Wondering if you have a case? Have questions? Contact Gerson & Schwartz at (305) 371-6000 for a free consultation. Broward County is home to over 1.9 million residents living throughout its 30 cities. The county is home to the Fort Lauderdale-Hollywood International Airport and has some of the busiest highways, including I-95, I-595, the Sawgrass Expressway, and the Turnpike, in the state. Broward County offers a mix of upper to middle class neighborhoods, as well as high-end residences on its waterways. 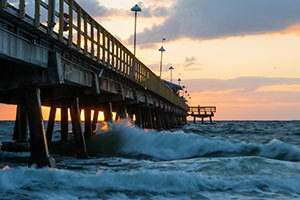 Fort Lauderdale, a well-known and popular tourist destination, is located in Broward County, attracting millions of seasonal tourists every year. Whether going to work, school, or just driving around town, thousands of people travel the roads each day. High traffic volume and visiting drivers unfamiliar with the roadways create dangerous driving conditions for motorcycles. Insurance requirements for motorcycles can be different than that of passenger vehicles. As a result, drivers may not carry adequate coverage. 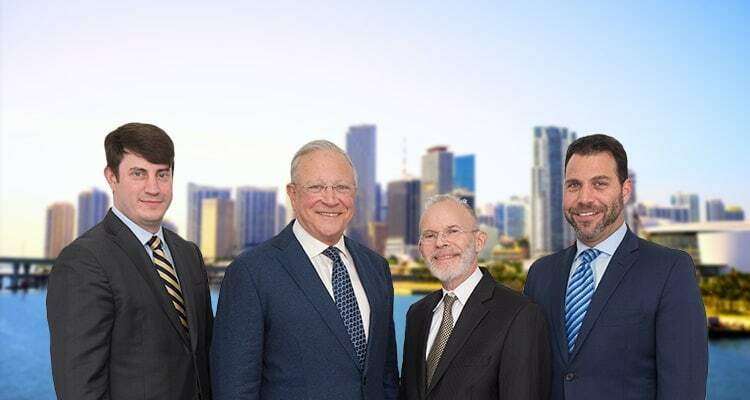 The Broward motorcycle accident attorneys at Gerson & Schwartz can help motorcycle accident victims and their families work through the insurance logistics to receive the compensation and treatment that they deserve. Our Broward motorcycle crash attorneys can help motorcycle accident victims and their families to recover lost wages, pay for medical treatment, and receive compensation for pain, suffering, and mental anguish. Fort Lauderdale, Hollywood, Dania Beach, Weston, Coral Springs, Parkland, Pompano Beach, Plantation, Sunrise, Tamarac, North Lauderdale, Lauderdale Lakes, Lauderhill, Davie, Pembroke Pines, Miramar, Wilton Manors, Deerfield Beach, Coconut Creek, Margate, Oakland Park, Hallandale Beach, Lighthouse Point, Lauderdale by the Sea, Hillsboro Beach, Sea Ranch Lakes, Southwest Ranches, Lazy Lake, West Park, and Pembroke Park. The Broward motorcycle accident attorneys at Gerson & Schwartz can help you and your family to get on the path of recovery. We can answer your questions. We can help. Call us today at (305) 371-6000 for your personalized and free consultation.